Although we haven’t tested with HighCharts it is possible to integrate a third party JS library with Radzen by creating a custom component. I will try to prepare a sample HighCharts integration demo and report my findings. Thankyou for your response, and looking forward to your findings. This post has been updated to link to our blog post which contains the latest instructions. This is an excellent example of the flexibility RadZen can offer for custom development. Will the Radzen IDE also work well with React/Redux assets when deploying to Azure of IIS? What does working with React/Redux mean in this context? At the moment the Radzen applications use the Angular 5 framework and do not utilize React and Redux. Could you elaborate? radzen: Code generation done in 73ms. ng-cli: You seem to not be depending on "@angular/core". This is an error. Do you have client/node_modules folder? Yes, the folder is present. Maybe Angular is missing in this case. You can try to delete it and execute npm install. 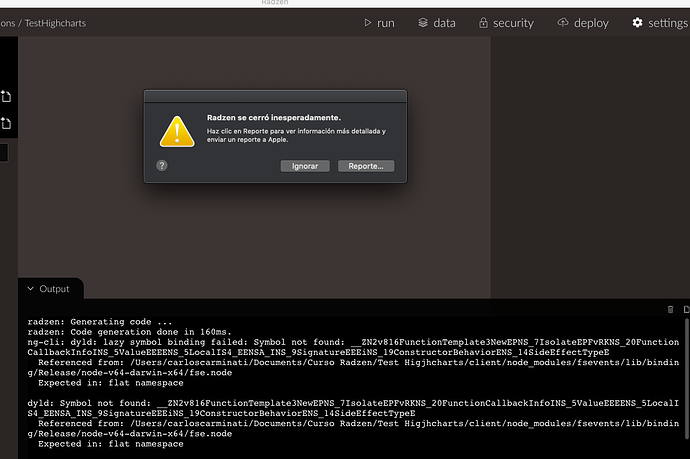 Not sure what this error means, my suggestion was to delete node_modules and execute npm install for this app. Sorry about insist in this topic but I have need to implement a sankey chart and highcharts has an eficient way to do it. Could you develop a working Sample? 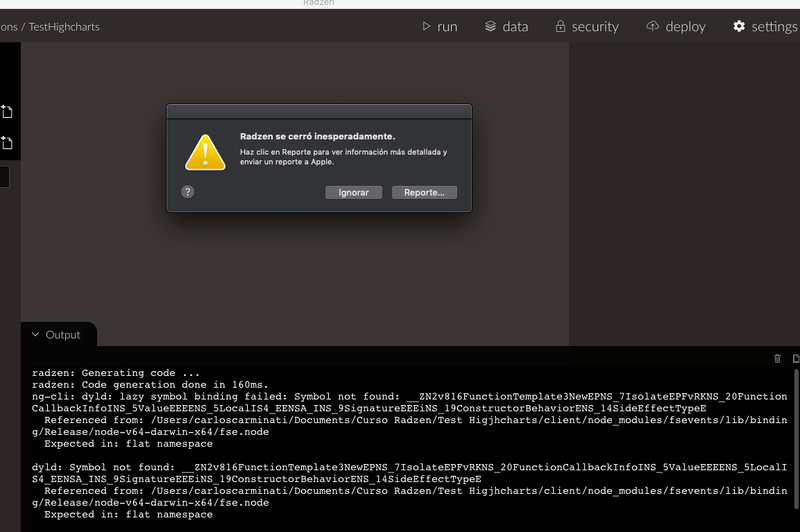 macOS users with newer versions of NodeJS make experiece a symbol not found error. Run rm -rf node_modules/fsevents just in case. The blog post includes a sample project too.